The mushroom looks quite different than other mushroom varieties. Instead of caps and stems they grow in globular masses and have long flowing white spines or are a rusty-cream color at the end of their growth cycle. It gets its name from these cascading tendrils that somewhat resemble the mane of a lion. 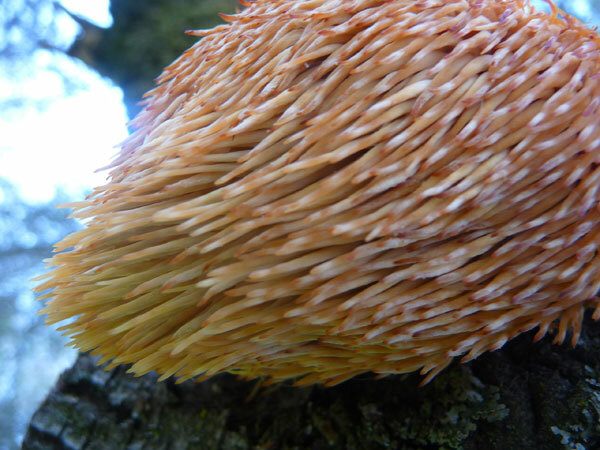 This particular species is a parasitic fungus that grows hanging off of logs and trees, also referred to as hedgehog or bearded tooth mushroom. In Japan, it is called yamabushitake or "those who sleep in mountains", referring to the Shugendo sect of "hermit monks" and their long flowing garments. 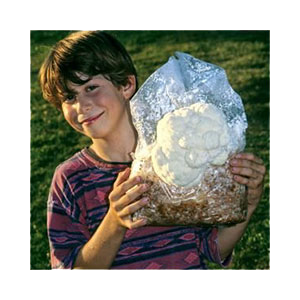 Among all the medicinal mushrooms we list on this site, Hericium erinaceus is the top super mushroom for the brain and nervous system, hands down. 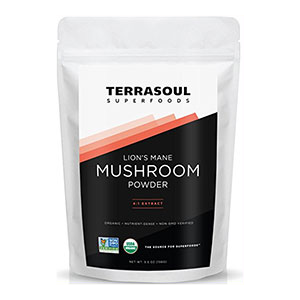 Unlike any other food substance known, the mushroom has been found to be extremely effective at inducing what is referred to as "nerve growth factor" or NGF in the brain. 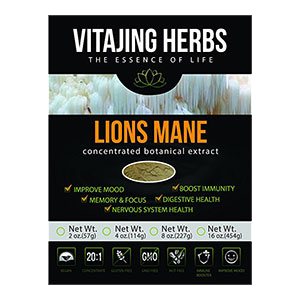 We personally consider lion's mane the perfect superfood for those who have experienced seizures because of its ability to elicit nerve regeneration. In such instances, it can be potentially healing to the brain after damage caused from nerve cell injury. 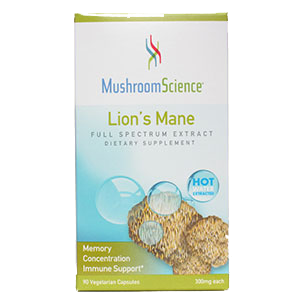 It is important, however, to seek the advice of your medical physician before taking lions mane mushroom as a dietary supplement if you've had any type of seizure or have been diagnosed with some form of epilepsy. Other specific active ingredients in the mushroom include the Hericium erinaceus species-specific constituents such as erinacines, hericenones and hericerins in addition to other secondary metabolites like other resorcinols, steroids, mono- and diterpenes. In some of the first studies conducted in Japan in the 1990's, by Dr. Hirokazu Kawagishi, it was discovered that the mushroom stimulates the synthesis of Nerve Growth Factor (NGF), a protein that encourages neuron growth and development. Nerve growth factor (NGF) is a neuropeptide that acts as a neurotrophin, chemicals that help to stimulate and control neurogenesis or the growth of new neurons. NGF essentially plays a key role in the maintenance, survival and regeneration of neurons or nerve cells. 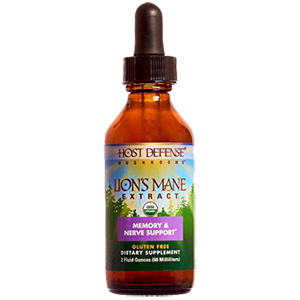 Lions mane mushroom has been shown to be exceptionally active in stimulating the synthesis of nerve growth factor, containing the two unique compounds: hericenones and erinacines. 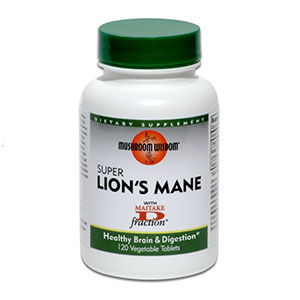 In addition to taking lions mane for neurological nourishment, we also suggest supplementing with an omega fatty acid and DHA omega-3 oil. This essential fat is especially helpful for proper brain and hormonal functioning and can work together with Hericium erinaceus to help replenish deficiencies. Amyloid plaques form when pieces of beta-amyloid proteins (from fatty membranes around nerve cells) clump together. These smaller sticky proteins can build up and block the neurotransmission or the signals between cells as well as trigger an inflamed condition. This process is believed to play a role in Alzheimer's and various other neurodegenerative disorders, like Parkinson's. 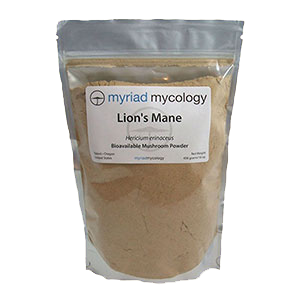 In the previously mentioned 2016 study entitled "Erinacine A-enriched Hericium erinaceus mycelium ameliorates Alzheimer’s disease-related pathologies", lion's mane was shown to reduce "cortical and hippocampal amyloid plaque burden." More research is underway about lions mane and its effectiveness as a treatment for helping to eliminate the spirochaete bacteria from the brain and spinal cord. 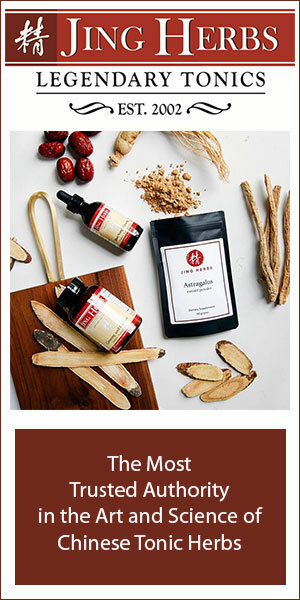 This treatment of course goes along with an implemented herbal regime for the immune system. 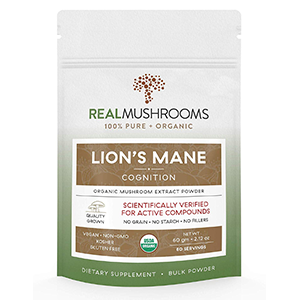 Lions mane and its nootropic properties as a cognitive enhancer have been known to boost mood and lessen anxiety in healthy individuals. 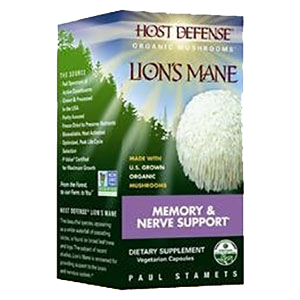 The neurotrophic NGF stimulating effects of concentrated lions mane mushroom extracts also appears to promote myelin repair (*) and could also be helpful for various psychiatric disorders, including depression. If you are an individual diagnosed with clinic depression, it is however important to seek medical advice before pursuing self-treatment. The Chinese, who have been using the mushroom for hundreds of years, particularly value its benefits for various stomach ailments, including ulcers and gastritis. We found this lions mane growing on the shady slope of an oak tree. 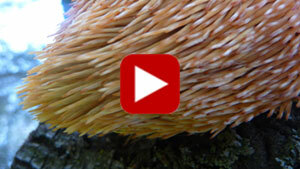 It turns an orange color after it has released its spores. Fresh white mushrooms when dried also turn a lighter rusty-cream color. Gastritis is an inflammatory condition and irritation of the stomach lining. 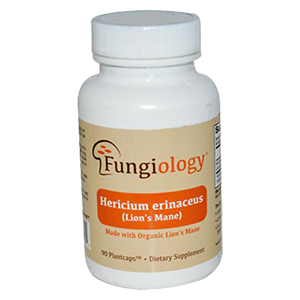 Hericium erinaceus is known to act as an anti-bacterial compound against the Helicobacter pylori bacteria linked to gastritis and related ulcerative disorders. In Traditional Chinese Medicine, it is considered good for five of the internal organs as well as for its benefits at activating digestive functions. As a digestive tonic, its effects are believed to be due to the present of beta-glucan polysaccharides, along with polypeptides and fatty acids. These substances also enhance the function of the gastric mucus barrier, important for a healthy colon and digestive tract. 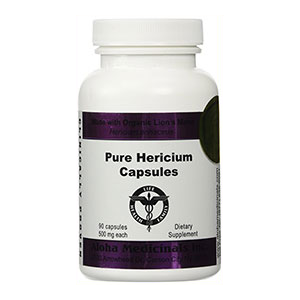 Research has shown that these H. erinaceus polysaccharides, along with adenosine and oleanolic acids, stimulate the induction of interferons and modulation of the immune system, helpful for healing stomach related health issues. 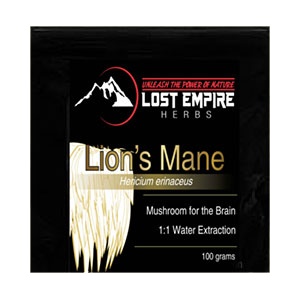 Lost Empire Herbs - This is a bulk powder organic lion’s mane 1:1 hot water extract, grown on wood in greenhouses with natural light, fresh air and using organic methods. 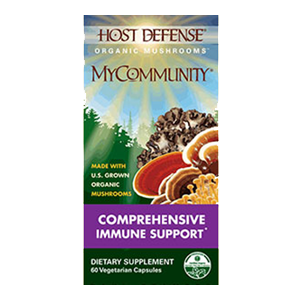 Host Defense - Offer capsules using activated, freeze-dried, Certified Organic mycelium as well as a liquid extract utilizing both the mycelium and fruiting body. This company is owned by the well-known mycologist Paul Stamets. These products are created from organically grown mushrooms sustainably cultivated on their own farm. Aloha Medicinals - Produces a quality Certified Organic full spectrum product. The encapsulated powder is created from the dried fruiting body, mycelium biomass, primordia and extra-cellular compounds. 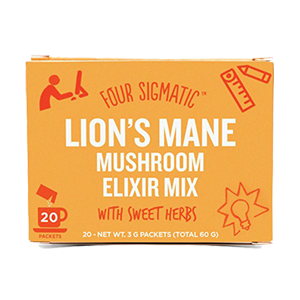 Four Sigmatic - This is an "elixir" powder blend of lion's mane, star anise, stevia and peppermint for taste and assimilation. 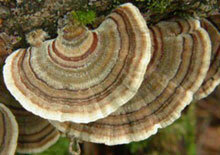 The mushroom is a dual extract made from the log-grown fruiting body. It comes in pre-prepared packets. Mushroom Harvest - Provide both bulk powders as well as capsules. They are made from an activated mushroom preparation of mycelium and fruiting body and are Certified Organic. 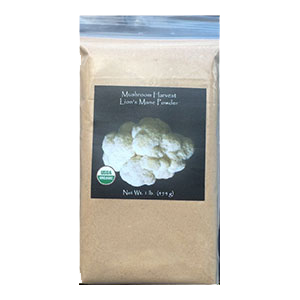 Mushroom Science - This is another reputable company producing quality products created from the fruiting body as well as the mycelium biomass and prepared as an encapsulated hot water extract. 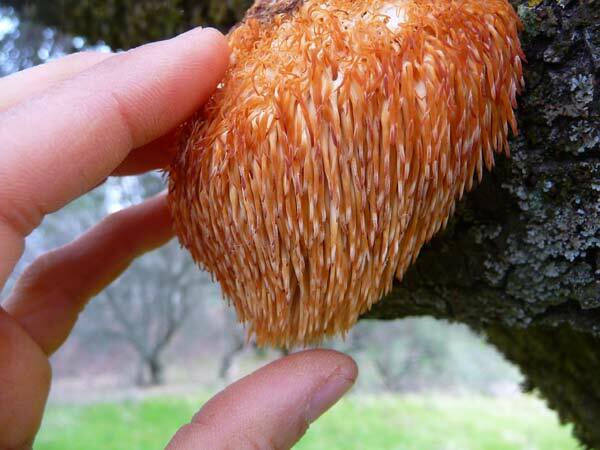 These are made lion's mane grown on chemical-free wood, but is not officially Certified Organic. 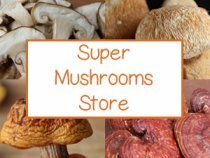 Mushroom Wisdom - This company has been making medicinal mushroom products for over 25 years, producing mushroom hot water extract made from the fruiting body. They include vitamin C as well for greater absorption. This lion's mane product is not Certified Organic. 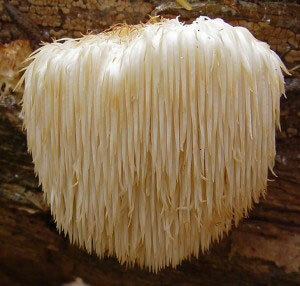 Like all medicinal mushrooms, lion's mane needs to be heat processed to make its compounds bioavailable to humans. Commercial brands therefore either "activate" mycelium through steam processing or employ hot water extraction techniques on the fruiting body. 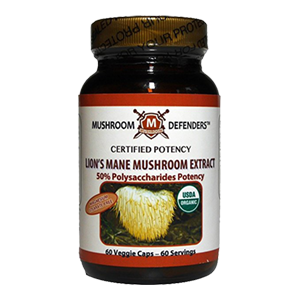 The best and most therapeutically effective way to use this mushroom is as a concentrated dietary supplement and there are many company's these days offering a variety of quality organic mushroom products. 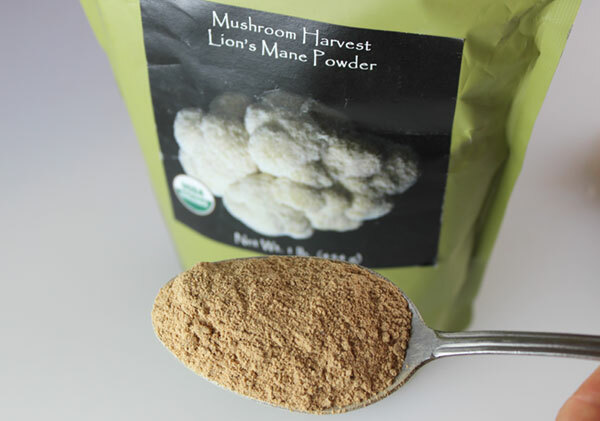 Lion's mane is available as a bulk powder, encapsulated powder or less frequently as a liquid solution. We recommend full spectrum powders or brands that include both the mycelium (the potent white thread-like biomass) as well as the fruiting body of the mushroom itself. Freshly harvested or dried mushrooms can be steamed, prepared in soups and stews or as a tea decoction. They have a mild seafood like flavor resembling lobster or shrimp. This species is in fact quite common as a culinary mushroom and popular in French cuisine as a gourmet delicacy called "pom pom du blanc." 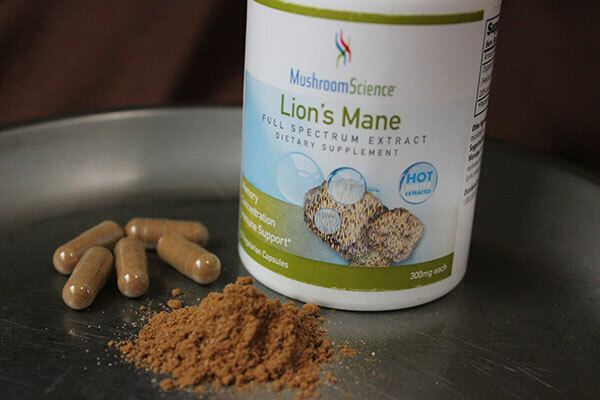 While medicinal mushrooms are generally considered very safe with long-term use, it is important to seek the advice of your medical physician before taking lion's mane mushroom as a dietary supplement if you've have seizures, have been diagnosed with some form of epilepsy, or have a serious health condition.